For 249 years, people have found their way around this area from directions given by the light of the Sandy Hook Lighthouse. Others found their way to freedom from directions given by following the “lights” of the drinking gourd which were the stars of the Big Dipper. The STARS OF SANDY HOOK is a program that will help you find your way around the night sky from directions given by the light of the stars. Join the NPS Saturdays, June 22 & July 27, at 8:30 pm at the Sandy Hook Lighthouse Keeper’s Quarters (Bldg. 84) for a ranger talk on how to read a star chart and how to find the most brilliant stars of the night by “Star Hopping”. After this presentation several telescopes will be set up in beach parking lot E to view the STARS OF SANDY HOOK. 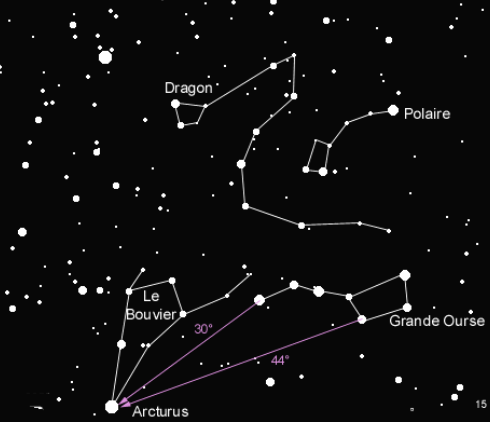 Weather permitting, we will see Arcturus, the fourth brightest star; Vega, the fifth brightest star, and Saturn before it fades from the summer sky. Bring insect repellant, lawn chair, red-colored flashlight, and binoculars (optional). This program is free, however space is limited. For more information and to sign up, call the Sandy Hook Visitors Center at 732-872-5970, or visit www.nps.gov/gate.